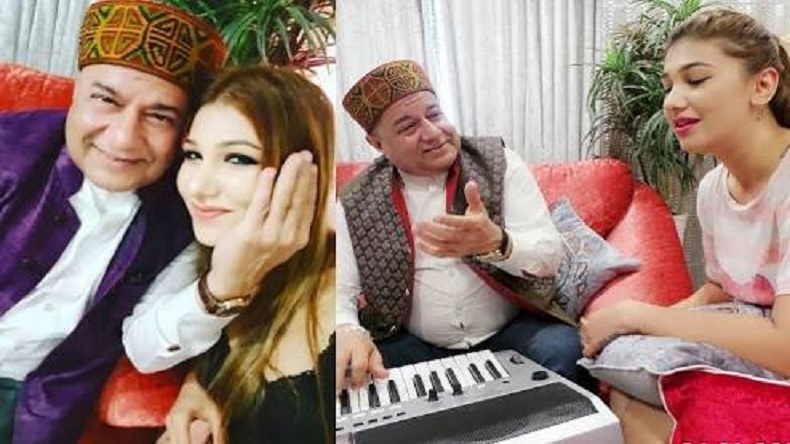 Bigg Boss 12: Devotional singer Anup Jalota has denied dating Jasleen Mathru. After his eviction from the show, the singer stated that him and Jasleen share a musical relationship and there is no kind of love story between them. Stating that he is her teacher, she is his student and he just helps her in learning music, he clarified that they are not in a romantic relationship. Bigg Boss 12: One of the most controversial jodis of Bigg Boss 12, Anup Jalota and Jasleen Matharu, have been hogging headlines ever since the premiere of the show. Now, after the exit of the devotional singer from the show, he has denied dating Jalseen. Speaking about the same to IANS, Anup stated that their relationship was not understood by people. They just share a musical relationship and there is no kind of love story. He added that he is her teacher and she is his student and he just helps her in learning music. He further clarified that they do not have a boyfriend-girlfriend kind of relationship and they are not involved in any romantic relationship. In an interview with another news portal, Anup Jalota blamed the makers of Bigg Boss 12 of scripting their relationship. Talking about the same, he said that when Jasleen was offered the show and asked him to be his partner, he declined. However, after several requests from her father, he agreed. But it was decided that they would enter the house as Guru-Shishya. Soon after Jasleen was picked up from her house by the makers, after which she did not have contact with any anyone. To this, he added that when Jasleen came on the Bigg Boss stage and stated that they are dating, he was absolutely shocked. Even when questions were popped up about their relationship, he always maintained that they are good friends. Addressing the speculations that Jasleen’s father is upset with the duo, the singer stated that her father is pissed off because he had no idea about the relationship angle. He added that Jasleen must have been told to introduce the relationship angle during the six days she spent with the makers of the show. Along with Anup Jalota, Saba Khan was eliminated from the show on this week’s Weekend Ka Vaar.